The Alcatel One Touch Fierce and Evolve have just been announced for T-Mobile and both will be coming very soon. The One Touch Fierce has the higher specs of the two, while the One Touch Evolve is a low-end Android smartphone. Both are affordable handsets and we have prices, specs and release dates coming up. The One Touch Fierce has a 1.2GHz quad-core processor, a 4.5-inch display with resolution of 960 x 540, 1GB of RAM and 4GB of internal storage, expandable via microSD. It also has a 5-megapixel rear camera with LED flash and a VGA front-facing camera, a 1800 mAh battery and it runs Android 4.2 Jelly Bean. The Alcatel One Touch Fierce may be advertised as supporting 4G but in fact it does NOT have an LTE radio but has 21Mbps HSPA+. The very competitive price of this Android smartphone on T-Mobile’s Simple Choice plan is a payment of $19.99 down, with 24 monthly $6 payments to follow. 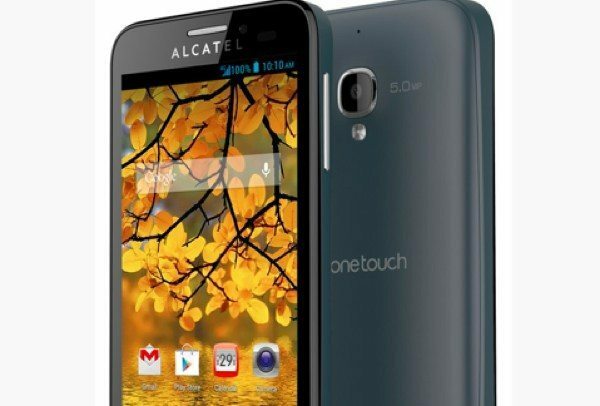 Turning to the Alcatel One Touch Evolve, this is powered by a 1GHz processor, has a 4-inch display with resolution of 800 x 480, 512MB of RAM and 4GB of internal storage, expandable via microSD. It has a 5-megapixel rear camera, and runs the Android 4.1 operating system. The price of the One Touch Evolve on T-Mobile’s Simple Choice plan is really low, with one downpayment of $27.99, followed by 24 monthly payments of $3. Both the One Touch Fierce and One Touch Evolve will be sold from October 5 in select retail stores and available online shortly afterwards. Could you be tempted by either of these very affordable Alcatel handsets on T-Mobile? Are you likely to purchase the One Touch Fierce or the One Touch Evolve?